When do the 12 Days of Christmas begin? Sometime in November, as things now stand, the "Christmas season" begins. The streets are hung with lights, the stores are decorated with red and green, and you can't turn on the radio without hearing songs about the spirit of the season and the glories of Santa Claus. The excitement builds to a climax on the morning of December 25, and then it stops, abruptly. Christmas is over, the New Year begins, and people go back to their normal lives. Many think it begins twelve days before Christmas? Nope, the time before Christmas is called Advent. The 12 Days start on Christmas day and continue until Epiphany. That is why my desk is still decorated. The bigotry against Christians has been discussed many times on this site, from Memories Pizza to Indiana’s Religious Freedom law. When business owners have to choose between their religious foundation or their financial well-being, the government needs to fix this. So what can we do? We have a representative government, so we can contact our congressment and demand that they represent us as much as they represent the 2-4% of the population that identifies as LGBT community. 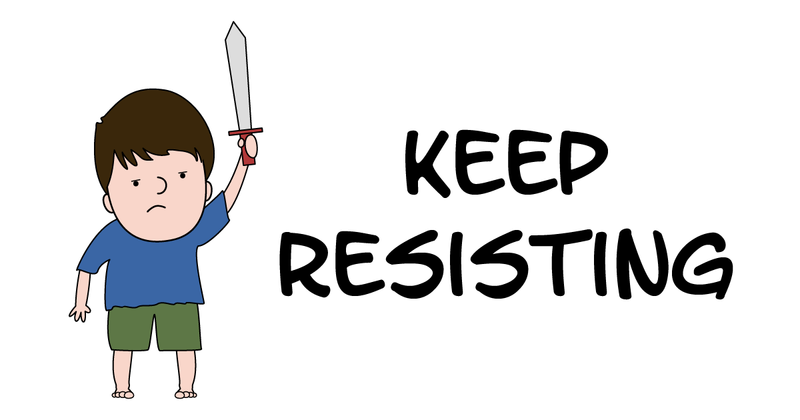 You can use this form to make it ridiculously easy to do so, and please do. Don’t always trust exit polls, and remember that statistics are worse than damn lies. Look at what happened in Indiana or at what is being pressed in North Carolina. The will of the Boss aspires to carry more weight than the will of the people. A thought-provoking article about the place of Christianity in a moral revolution and culture war. The will of the people in the state of North Carolina was clear and democracy worked. Now the President of the United States has threatened the governor of North Carolina and given him a deadline to overturn the will of the people for the will of one man: President Barack Obama. Let’s face it: We now live in a world where refusing a man the right to expose himself in a woman’s toilet is enough to risk your city losing the right to host a football game. Even to suggest there might be a debate to be had about such a thing is enough to render one liable to accusations of irrational hatred and dismissal as a benighted bigot. I love this straight shooting from Matt Heerema. This is what many are not understanding right now: the separation between what I should do and what my government should do. While the people might offer to take in refugees, our government needs to be thinking first and foremost about the safety of it’s citizens. It has been shown that between one and three of the Paris attackers snuck in with Syrian refugees. No one is suggesting that all Syrian refugees are terrorists, just that the government needs to make sure before we let them into the U.S. when ISIS is already threatening to attack us in similar fashion. Over the last couple months this blog has been lighter on original content, largely because of our move to St. Louis. Even with a lighter publishing schedule, I have been publishing a lot of links and videos on grim matters and on matters of hope. My heart has been broken time and again over the last couple months as information has come out about the practices of Planned Parenthood. In these dark times, we must keep our eyes on the Cross. Hope. Many people are seeking it. Some Christians have lost it. The tricky thing is to recognize where you find it. Hope found in the world will always fail. Hope found in the power of the Cross, in the Blood of Jesus, in the eternal life to come will never fail. While the total depravity of our world is heavy, I find hope in the One that can overturn the sinful nature of the hearts of Man. This for me is why I do not keep my words, my faith, the Word of God to myself. Keeping this hope, this blessèd assurance, to myself would be the greatest form of hate and selfishness. So I publish. Many will be offended. Many will unfriend me, unfollow me, or cut off all communication with me. But many more will see hope for something better than this fallen world. I love Adam4d and this comic hit a phrase that has bothered me for some time. 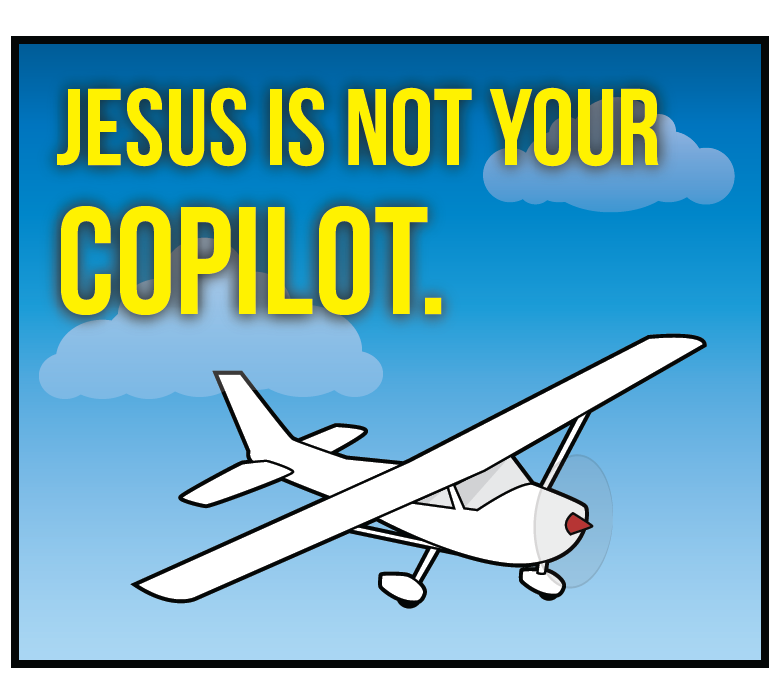 Jesus is not my copilot, he is my pilot.